Simple. Practical. Versatile. With Wilton Versa-Tools, you can reduce clutter in the kitchen and minimize cleanup with this series of innovative, multi-functional tools. 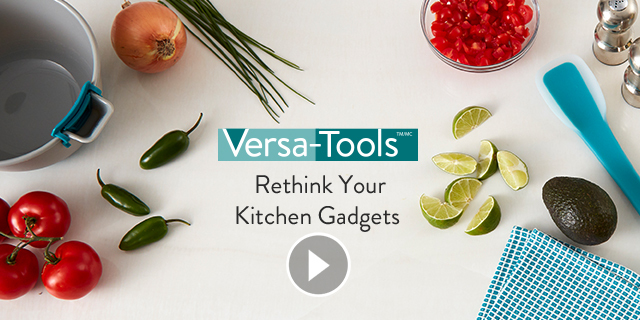 The Versa-Tools collection features various baking tools and supplies that each perform several functions in the kitchen. Multi-use spatulas, measuring spoons, scrapers and more allow bakers and cooks the ability to do more with less.